The other day my friend Holly asked me about my track record as a futurist. Holly is a journalist and has a knack for asking quiet, incisive questions. I had told her about co-authoring a book in the 1990s about the year 2025. [2025 : Scenarios of US and Global Society Reshaped by Science and Technology] Holly’s question got me thinking about the purpose of my work. It’s reasonable for people to expect futurists to predict the future. But accurate prediction is not the real value of our work. What futurists do is very much about today. Forecasts should show the range of and directions of change that get us started toward a desired future. The forecast endpoint is not the point. There is little point in framing an idea about the future and then waiting ten or fifteen years to see “Did you get it right?” Today is where foresight has its power. 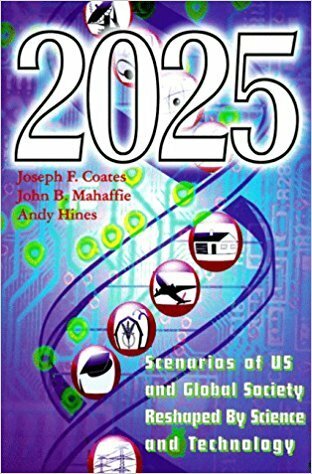 The best question I could ask when we get to 2025 is: Did people who read 2025 in the late 1990s act differently because of the ideas in the book? Why did we write 2025? 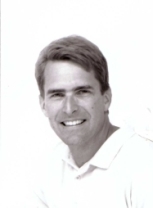 To help business people in the late 1990s understand change and potential for the future in that year. 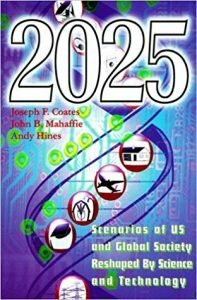 So my book, 2025, published in 1996, was for people in 1996 to understand future possibility. As the year 2025 approaches, I still expect to be embarrassed about where we were wrong. Most often that will be about what we did not forecast at all and where we were too optimistic. But I should forget about it. That was not the point or the purpose of the book. How should you think about this? When you work with a futurist or engage with the future, know your today reasons. Allow the process to range imaginatively over future ideas. But don’t worry about certainty and accuracy at some future date. Explore what those ideas tell you about what to do now. For some further thoughts on this, see What do futurists really do?